Ok, so I know I said I didn't think I'd get enough out of an online Elder Scrolls game to warrant buying it and subscribing. Well, as time went on I started to kind of miss Elder Scrolls Online and I decided it was worth buying it and subscribing, at least for a few months. I played World of Warcraft for years, so I'm not necessarily against subscriptions for games, I just haven't found one I'd be willing to do that with. At least I thought I hadn't. So I spent a lot of today playing in the 5 day head start (for pre-orders, the game officially launches on 4/4). We did take several walks outside and enjoyed the sunshine and warmer weather. There were plenty of people playing basketball at the park, skateboarding, and just running around enjoying temperatures above freezing. 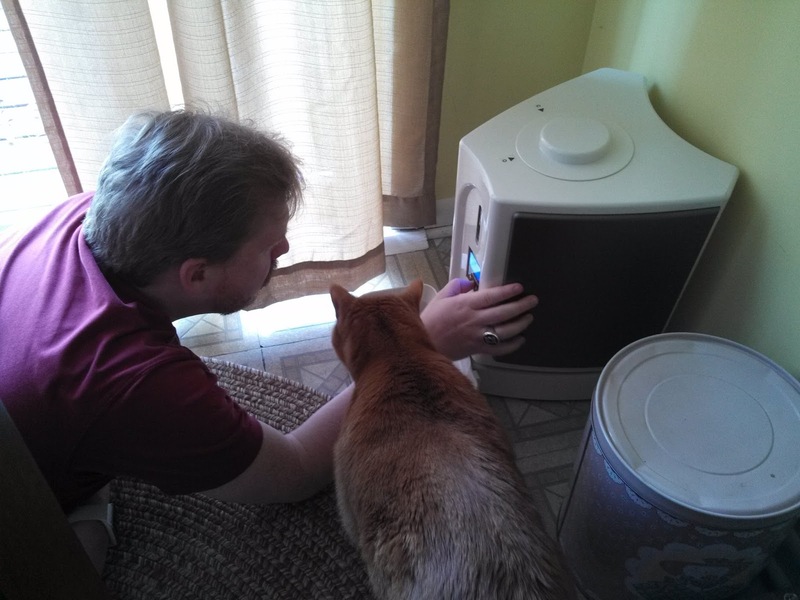 We also discovered that the automatic cat feeder was set too low...so the cat wasn't getting enough food. That might explain his chewing on the wall yesterday in frustration. Oops! It's all fixed now, so he's a much happier cat. And then of course in the evening I played a little more Elder Scrolls Online.